Sprout Social develops and delivers social media engagement, advocacy and analytics solutions for more than 25,000 leading brands and agencies around the world. We’re relentless about solving hard problems, building elegant software and ensuring customer and team success. Founded in 2010, we have a team of 500 people, located across more than 25 cities worldwide. In addition to our headquarters in Chicago, Sprout has offices in Seattle, San Francisco, Dublin and London. Create a centralized place for candidates to learn about Sprout and their culture. Reach talent in locations where new offices opened. Job Ads: Bring better visibility to attract passive candidates and reach talent in new markets. Enhanced Profile: Showcase a compelling employer brand story through a combination of a “Why Work for Us” section, employee photos, videos, company updates, and social media integrations. 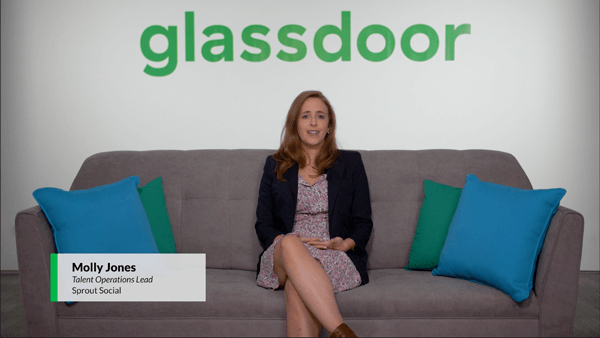 "Glassdoor is the perfect solution for any employer wanting to showcase company culture and business values to attract informed candidates. The immediate impact of using Glassdoor to recruit is that candidates are able to envision themselves at your company. The long-term effect is the ability to keep a pulse on employee sentiment, which boosted retention."